Manufacturing and Fluid Mechanics; Polymer processing, mechanical system design, fluid flow, and mechanical and physical property characterization of thin film. Began at Tech in October 2006 as an Assistant Professor. 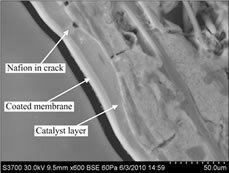 Dr. Harris’ research is focused on exploring the connectivity between the functionality of nano- to macro- level films, components, and systems based on their manufacture or design and their life expectancy, thereby elucidating mechanisms by which performance or durability can be predicted. She is interested in using both simulations and experimentation to better understand this connectivity. By addressing complex fundamental problems, Dr. Harris aims to impact a plethora of industries, although applications of direct interest to her include energy (e.g., polymer electrolyte membrane fuel cells), electronics (e.g., organic electronics), and environmental (e.g., water). (3) Implementing innovative thin film manufacturing techniques that allow for in–line processing of patterned materials in on step and layered materials via multiple passes. Roll-to-roll thin film processes are not traditionally used to make 2D and 3D materials. In this work, an innovative hybrid manufacturing tools will be developed and its functionality characterized based on the influence of various processing parameters. This work will allow for unique flexible thin film structures to be created at the macro scale, using one tool and minimal processing steps, which has not been realized to date. simulations (a2, b2 and c2). Kanthi Latha Bhamidipati; Sima Didari; Prince Bedell; Tequila A. L. Harris. 2011. Wetting phenomena during processing of high-viscosity shear-thinning fluid. Journal of Non-Newtonian Fluid Mechanics, 166 (12-13) pp. 723-733. Bhamidipati, K.; Harris, T. 2011. 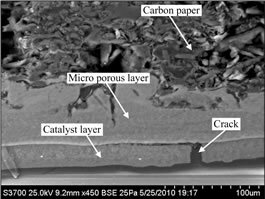 Numerical Analysis of Defect Formation during Fabrication of High Temperature Polymer Electrolyte Membrane Solutions. Journal of Polymer Science and Engineering, 51(5), pp.1701-1709. Caston, T.; Carney, H.; Bhamidipati, K.; Harris, T. 2011. Graduated Flow Resistance to Gas Flow Through a GDL in an Unconventional PEM Stack. ASME Journal of Fuel Cell Science and Technology, 8, 011003. Caston, T.; Murphy, A.; Harris, T. 2010. 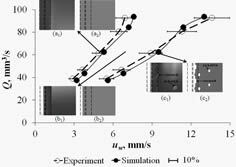 Effect of Weave Tightness and Structure on the In-Plane and Through-Plane Air Permeability of Woven Carbon Fibers for Gas Diffusion Layers. Journal of Power Sources, 196(2) pp.709-716. Bhamidipati, K.; Harris, T. A. L. 2010. Numerical Simulation of a High Temperature Polymer Electrolyte Membrane Fabrication Process. ASME Journal of Fuel Cell Science and Technology, 7(6) pp. 061005-061012. Ding, X.; Didari, S.; Fuller, T.; Harris, T. 2010. A New Fabrication Technique to Manufacture an MEA Using Direct Coating of Nafion; onto Catalyzed GDL. Electrochemical Society Transactions, 33, #B7-0767. T. A. L. Harris, D. Walczyk, R. Puffer, and R. O'Donnell. 2004. Design of an Experimental Test Bed for Depositing Membrane Material for High Temperature Fuel Cells. Proceedings of the 2004 SME North American Manufacturing Research Conference, 431-438.